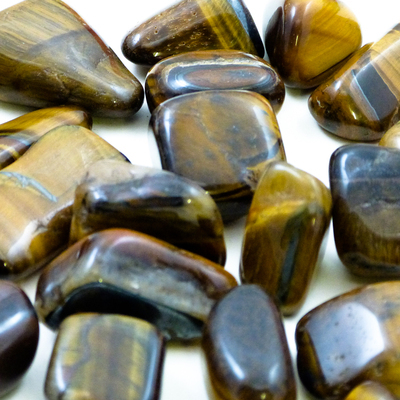 These Polished Stones Tiger Eye are a unique and captivating addition to your sensory resources. Allow children to run their fingers over each smooth surface or roll them around in the light to appreciate the unique print. Each of these tiger eye stones can be used for explorative play or paired with adhesives to create art pieces such as natural mosaics. They have an organic striped colour which, in itself draws you in, and come in a large pack for busy environments. These stones are polished and smoothed to reduce the risk of injury and can be wiped clean when needed. These polished stones are perfect for schools, nurseries and even residential environments.